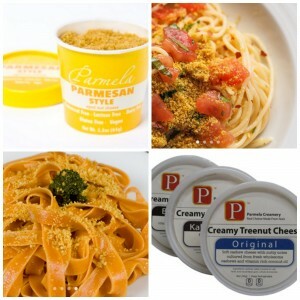 Summary: Parmesan cheese lends a delicious touch to pasta dishes, but when you think about it, it's the texture and extra bit of saltiness that makes it so delicious. 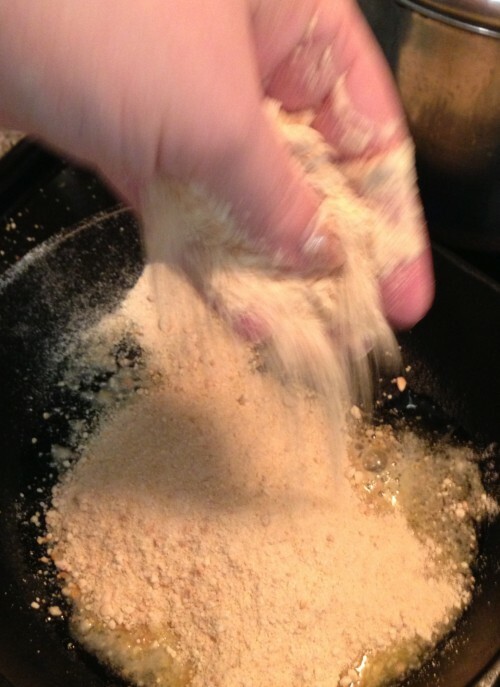 Luckily, it's ridiculously easy to recreate the delicious texture and taste while on a gluten-free and vegan diet, thanks to what many call "Poor Man's Parmesan," or, Pangritata. Parmesan cheese lends a delicious touch to pasta dishes, but when you think about it, it’s the texture and extra bit of saltiness that makes it so delicious. 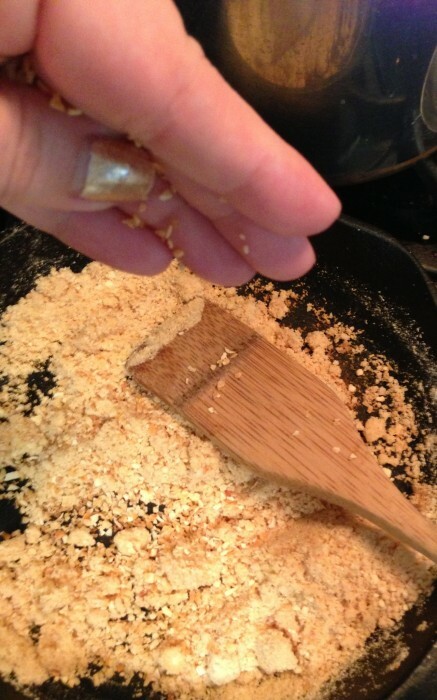 Luckily, it’s ridiculously easy to recreate the delicious texture and taste while on a gluten-free and vegan diet, thanks to what many call “Poor Man’s Parmesan,” or, Pangritata. Pangritata is a breadcrumbs, browned with a little salt and other herbs as desired. Here is a basic Pangritata recipe from which you can build to suit your taste. 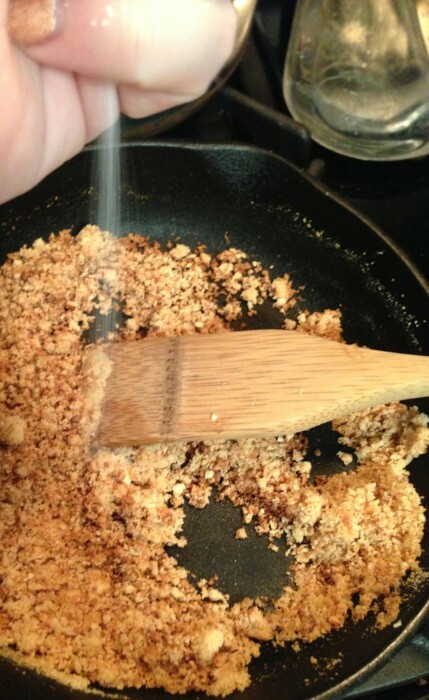 1 cup of gluten-free and vegan breadcrumbs, like Manna Organics breadcrumbs. 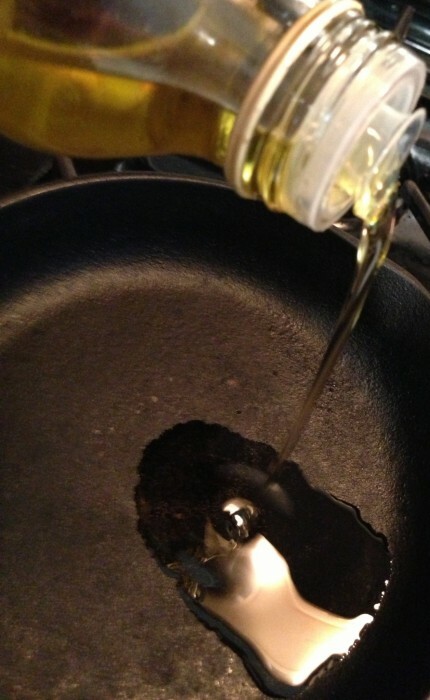 Now stir around until it’s nice and golden brown. Turn off the heat and let it cool. You can enjoy it right away, or store it in an airtight container. 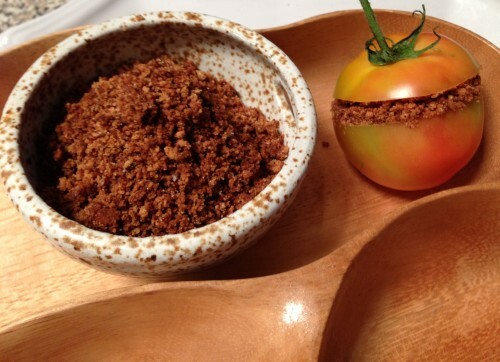 The best thing about Poor Man’s Parmesan is that it can be used to add texture and flavor to so many different dishes like pasta, salad, soup, and sandwiches. 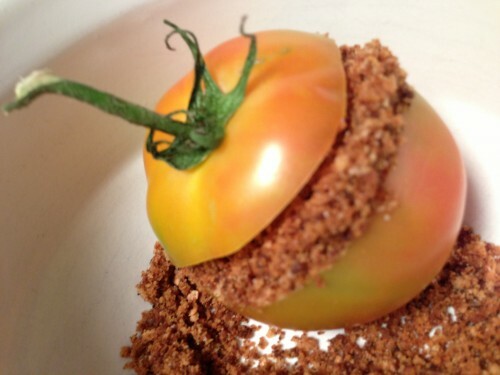 We even like sprinkling it on tomatoes from our garden and eating them just like that as a snack.